You must apply for an OK driver's license in person at a DPS office. You will need to provide various documents to include proof of identification and Social Security number, pass the required exams (written, driving, and vision), and pay the required fees. This page will help you get your first driver's license from the Oklahoma Department of Public Safety (DPS). NOTE: If you're a teenager applying for your first OK learner's permit, please visit our Applying for a New License (Teen Drivers) page. The Oklahoma DPS has recently announced that several licenses have been printed in error with security holograms placed on the back of the cards rather than the front. Click here for more information about the misprinted licenses including instructions on replacing your misprinted card. If you've recently moved to Oklahoma from elsewhere in the country, it's usually a simple and straightforward process to obtain an OK driver's license. What you'll need to do to apply for a Oklahoma driver's license depends on whether your out-of-state license is still valid or not. If your out-of-state driver's license has been expired for longer than 6 months, you'll need to successfully pass the Oklahoma written test and driving tests. Follow the driver's license application procedure outlined below. In addition to providing the required documents and payment, you'll also need to surrender your out-of-state driver's license. The OK DPS also issues other kinds of driving permits, including commercial driver's licenses (CDLs)—classes A, B, and C—as well as a motorcycle endorsement. To obtain an OK driver's license, you must apply in person at your local OK DPS office. Visit the OK DPS website for a complete list of required and accepted documents. NOTE: If you have a valid driver's license from another state, you will need to surrender it to the OK DPS. Your written and driving exams may be waived. If you fail your written test, you will need to wait at least 1 day before you can retake it. Before you can take your road test, you'll need to have passed both your vision and written knowledge exams. If you want to pass the written test the DPS suggests studying the Oklahoma Driver Manual. Our suggestion is to not take any chances and also prepare for the test with an online practice test from our certified partner. If you fail the driving test, you must wait at least 1 day before retaking the exam. You can only fail 3 times within 30 days of your first try. All attempts following this must be 30 days apart. Younger than 62 years old: $38.50 . 65 years old and older: Free. All applicants pay a $4 application fee. If you're not a U.S. citizen, you will have additional requirements when applying for your OK driver's license. 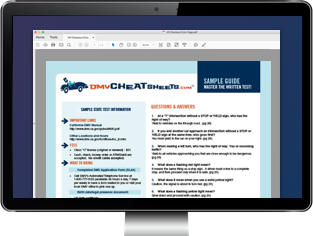 If you're transferring a valid driver's license from a U.S. territory, you must provide a driving record translated into English (from the last 60 days) to have the driving and written test waived. You'll need to show all the identification documents mentioned above. If you're a foreign national or a legal permanent resident alien, your accepted primary identification documents will differ. See the OK DPS website for a complete list.